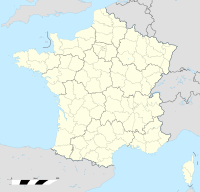 Lorry-Mardigny sī ūi-tī Hoat-kok Lorraine toā-khu Moselle koān ê chi̍t ê commune. Tī Lorry-Mardigny ê sì-ûi ū Bouxières-sous-Froidmont, Champey-sur-Moselle, Vittonville, Arry, Cheminot, Marieulles, kap Sillegny téng siâⁿ-chhī he̍k-chiá chng-siā. "Commune de Lorry-Mardigny (57416) - Dossier complet". INSEE. 2016-05-28 khòaⁿ--ê.
Chit ia̍h siāng bóe tī 2017-nî 3-goe̍h 8-ji̍t (Pài-saⁿ), 06:57 ū pian-chi̍p--koè.